Jesus made a tour through all the towns and villages, teaching in their synagogues, proclaiming the Good News of the kingdom and curing all kinds of diseases and sickness. Recent Church of England reports have raised the alarm about the future of the parish system as a great number of our priests will reach the age of retirement in the next decade. 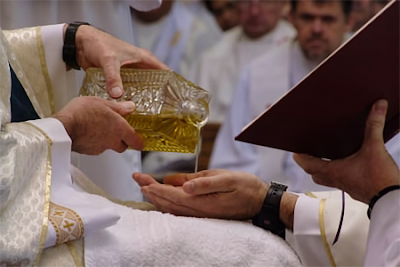 The days of “one priest, one parish” are rapidly disappearing – and in certain rural areas of our country these days have gone already a long time ago. However, in the midst of this a recent report endorsed by the Archbishop of Canterbury has suggested that the “one priest, one parish” model is effective and it is the ideal setting for church growth. On top of this a recent session of the General Synod has pledged to increase the number of vocations by 50% over the coming years, in order to limit the number of parishes left without priests as much as possible. Instead of occupying ourselves too much with statistics and endless reports, or with smplistic training of people to fill gaps in our worship, as a Church we should get on our knees and do exactly what Jesus tells us; pray, pray, and pray that more and more people may hear the call of God to the ordained ministry for their lives and that they may have the courage to respond generously to it.